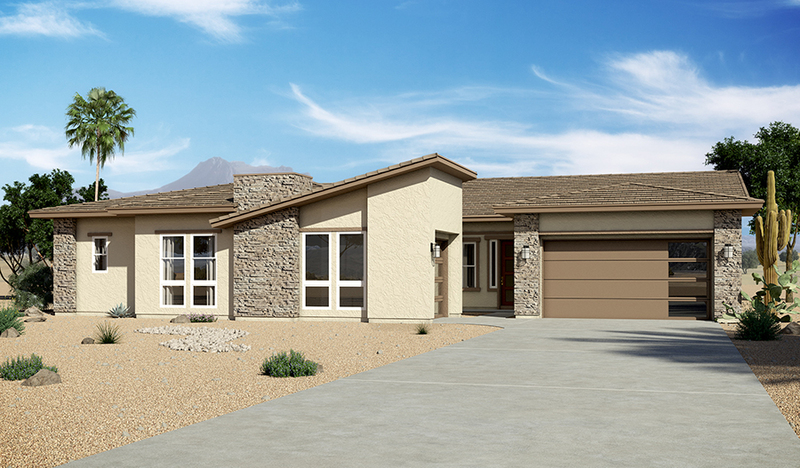 Imagine your life in this exceptional ranch-style new home. Host movie night in the generous great room. Entertain friends in the game room with 15' vaulted ceilings. Breakfast at the professional kitchen's large center island or—even better—enjoy eating poolside by the infinity edge hot tub! The home also features a Sub-Zero® refrigerator and Wolf® appliances, a private study, a lavish master suite and a covered patio with a grilling station and multi-slide doors. Includes 2-car front-entry and 1-car side-entry garages!